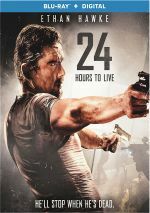 Most successful as a 2nd unit director of hits like Iron Man 3, Brian Smrz gets a turn in the big chair for 2017’s 24 Hours to Live. Former CIA agent turned mercenary Travis Conrad (Ethan Hawke) comes out of a self-imposed “hiatus” to perform a job for the company that often employed him. This results in Travis’s death – for a while, at least, as a surgical method brings him back to life so he can reveal information. Only intended as a stopgap, this allows Travis 24 hours to find a solution or he’ll wind up deceased for good. Because I associate Hawke with more character-based fare like Before Sunrise and Dead Poets Society, his presence in a violent thriller such as Hours comes as a surprise. Still, a man gotta eat, so I don’t fault Hawke the occasional foray in this action-based direction. Hours offers a fairly erratic thriller – though not one without potential. Indeed, for the film’s first act, it provides a surprisingly intriguing piece, largely because it delves into character better than expected. I think most of the credit goes to Hawke. Depressed over the death of his wife and son, Travis doesn’t provide a particularly original role, and the “super-assassin” isn’t exactly something new either. However, Hawke brings surprising humanity to the part. He adds a weariness and range unusual for this sort of role, and that depth allows the movie to become more engaging than I anticipate within this genre. For a while, at least. Once Hours becomes more involved with action, the character nuggets turn less important and the result seems more formulaic. Still, even with the decline in quality after the first act, Hours manages a decent level of intrigue, and the chemistry between Hawke and co-star Xu Qing adds to the impact. They show a nice rapport and create a good cinematic couple. 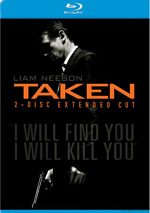 All of this leaves Hours as an often predictable action flick but not a bad one. No, I can’t call it good, either, but the strength of its cast allows it to become a decent experience. 24 Hours to Live appears in an aspect ratio of approximately 2.40:1 on this Blu-ray Disc. In terms of palette, Hours went with a stylized look. In an unsurprising move, the film emphasized orange and teal to a substantial degree. Those tones seemed acceptable given their limitations. When I examined the DTS-HD MA 5.1 soundtrack of Hours, I thought it was moderately active and involving, as the mix used music and atmosphere to nice advantage. These elements created a good sense of place and movement that brought us an engaging soundscape, with the best material found in the smattering of action sequences. The disc opens with ads for Hangman, Blood Money, Acts of Vengeance and Shot Caller. No trailer for Hours - or any other extras – appear here. Ethan Hawke elevates pedestrian material in 24 Hours to Live. While Hawke can’t make it a particularly good film, he allows it to become more involving than expected. The Blu-ray offers positive picture and audio but lacks supplements. As action-thrillers go, Hours seems perfectly watchable.